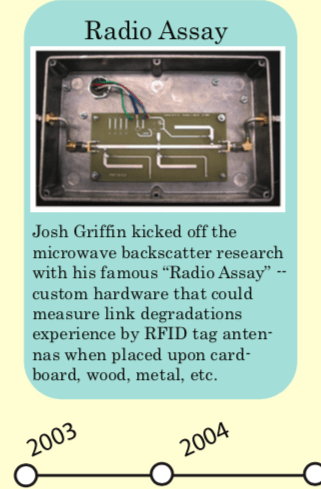 The Radio Assay: Josh Griffin kicked off the microwave backscatter research with his famous “Radio Assay” — custom hardware that could measure link degradations experience by RFID tag antennas when placed upon card- board, wood, metal, etc. 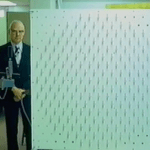 In 2004, Josh Griffin began the first of many UHF/microwave backscatter experiments involving the “Radio Assay” of an antenna. 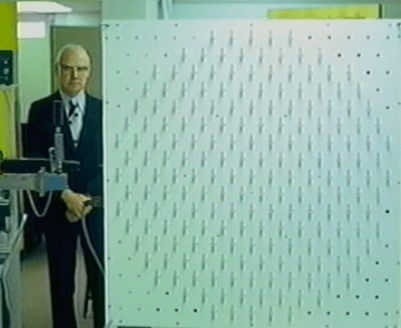 The radio assay was a series of tests involving antennas radiating against different types of materials: cardboard, wood, water containers, plastic, meat, and metal. 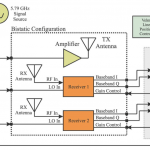 This lecture presents the concept of multi-antenna backscatter signaling with multiple reader and tag antennas. 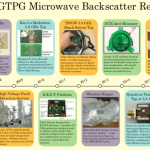 The key paper for review is Josh Griffin’s ground-breaking work on MIMO signaling with backscatter tags. We also discuss the interesting small-scale fading behaviors that can arise in these scenarios. Paper: J.D. Griffin, G.D. Durgin. 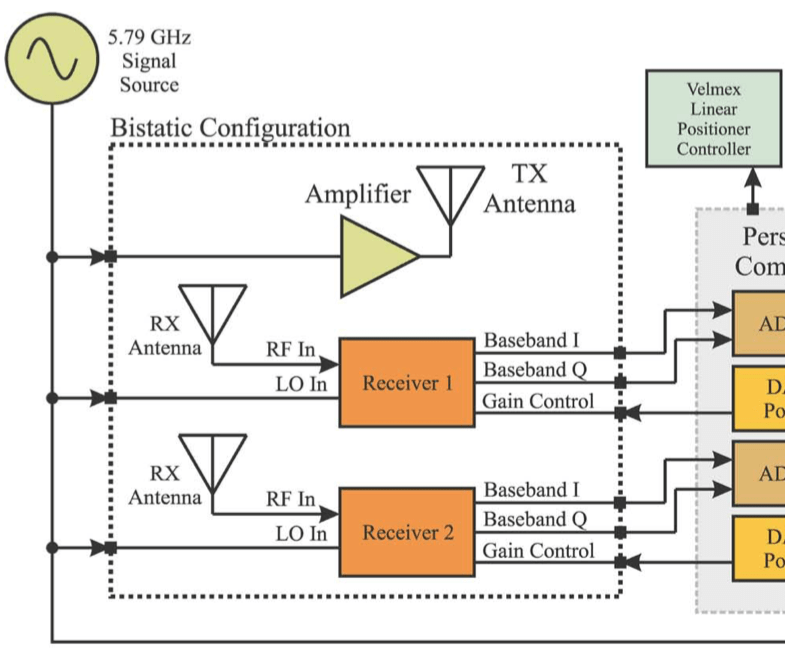 “Multipath Fading Measurements at 5.8 GHz for Backscatter Tags With Multiple Antennas.” IEEE Transactions on Antennas and Propagation, vol 58, no 11, Nov 2010. Here is a history of the winners for the William Brown Fellowship, along with their citations for work in microwave power transfer. These students have kept Bill Brown’s life passion going with stellar original work in the field of wireless power transfer. Sincerest thanks to the family of William Brown and Darel Preble of the Space Solar Power Institute for endowing this fellowship at Georgia Tech. 2014 Blake Marshall: For leading an undergraduate research team in a wireless power transfer research project; for his work on staggered pattern charge collectors. 2015 Francesco Amato: For his mentorship of an ORS team designing space solar power rectennas; for building the GTPG 5.8 GHz magnetron power station. 2016 Mohammad Bashir Akbar: For his mentorship of an ORS team designing transparent rectennas for space-solar power ground station collectors. 2017 Cheng Qi: For leading an undergraduate research team in wireless power transfer projects; for design of a microwave energy-harvesting science radio package for the Northwest Nazarene University RFSat mission. 2018 Jake Smith: For work on solar power integration systems and design of a microwave harvesting demonstration.